Tor Classics are affordably-priced editions designed to attract the young reader. Original dynamic cover art enthusiastically represents the excitement of each story. Appropriate "reader friendly" type sizes have been chosen for each title—offering clear, accurate, and readable text. 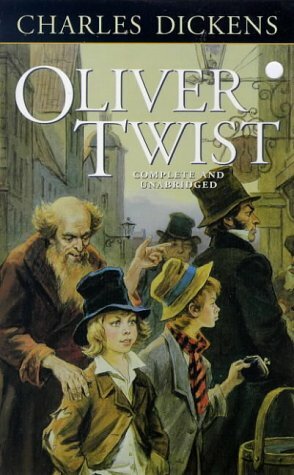 All editions are complete and unabridged, and feature Introductions and Afterwords.This edition of Oliver Twist includes a Foreword, Biographical Note, and Afterword by Nancy Springer.Abandoned at an early age, Oliver Twist is forced to live in a dark and dismal London workhouse lorded over by awful Mr. Bumble who cheats the boys of their meager rations! Desperate but determined, Oliver makes his escape. But what he discovers in the harsh streets of London's underworld makes the workhouse look like a picnic. Penniless and alone, he is lured into a world of crime by the wily Fagin--the nefarious mastermind of a gang of pint-sized pickpockets.Will a life of crime pay off for young Oliver? Or will it earn him a one-way ticket to the gallows?